Arsenio Hall is officially reuniting with Eddie Murphy for the highly anticipated Coming To America sequel. Costume designer Ruth E. Carter, who recently won an Oscar for her work on Black Panther, shared images of the pair’s reunion on Instagram confirming the news. Hall and Murphy were at a costume fitting session with Carter yesterday (April 8), which indicates cameras will start rolling soon with the film scheduled to be released in summer next year. Uploading two photos from the costume fitting to Instagram, Carter posed with her Academy Award with each of the stars. That means we don’t actually see them together in the pictures, but knowing they were there, preparing for the sequel, is exciting enough. At time of writing (April 9) the post has received over 22,000 likes, with the comments section being filled with love from fans excited to see Prince Akeem and Seemi back on the big screen again. Earlier this year Deadline reported director Craig Brewer (Hustle and Flow) was on board for the project, which would see the return of Murphy to the role of Akeem. And we are looking forward to seeing how the team will be bringing these characters back in the sequel. 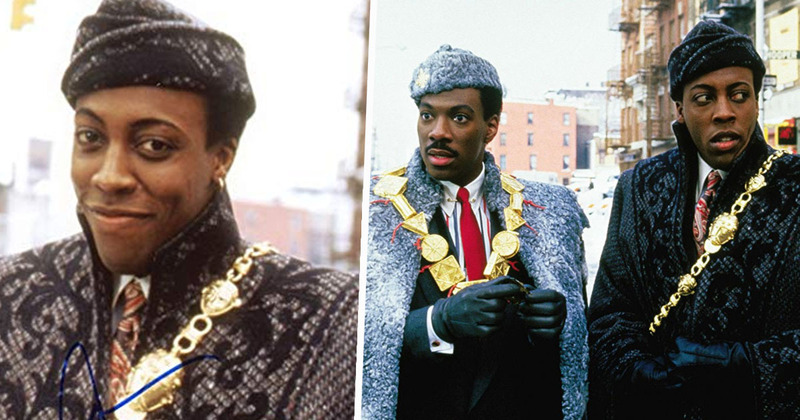 Deadline did share a synopsis for the film, so we believe Akeem will have to return to America after learning about a long lost son, now an unlikely heir to the throne of Zamunda. Other members of the original cast are also predicted to return including Shair Headley, John Amos and James Earl Jones, although these details are yet to be confirmed. Fingers crossed it is just as good as the original film!